For Pontarius, Finance & Performance Management means a close and transparent integration between the operative and the financial activities – creating substantial added value, improved risk management, financial stability and sustainability for our clients’ infrastructure and property projects. Through solid experience from line operations, our financial services become strong and credible tools to help our customers develop and improve management models tailored to their specific business. Through close collaboration between, for instance, the sales or purchasing department and the finance department, the operational and financial management tools can be used more quickly to steer the business in the right direction. Pontarius also offers analysis of complex project conditions for financing from all capital markets and develops alternative funding solutions as needed. We support both capital procurement, bridge financing and refinancing in critical project phases or on application of public funds, both from national institutions and intergovernmental banks. Both the private and public sectors are making increasing demands on the financial stability, profitability and sustainability of their investments in national and international infrastructure and property projects. Increasing engineering and operational complexity, with a wide range of standards and regulatory authorities, is making the monitoring and meeting of set financial and operational goals an increasingly complex task. By combining our financial expertise with Pontarius’ core deliveries, we help our clients to financially and operationally control projects based on the desired balance between quality, efficiency and profitability. Pontarius also offers analysis of the financing possibilities available to complex projects on all markets, as well as developing alternative financing solutions. We support the raising of capital, bridge financing and refinancing during critical phases of the project or in applications for public funding, whether from national or international financial institutions. Finance and Performance Management is a prerequisite for achieving set targets. However, it is often inadequately integrated into the organisation and operational deliveries. Pontarius ensures that integration takes place through a structured, communicative and continuous collaboration between financial and operational controllers, for example, a production unit or the members of a project group, in order to increase financial stability, innovation, quality and profitability. This should take place in every phase of the project; from the pilot study, through the planning, financing, design and construction phases and on into operation and evaluation. We also see enormous value in prioritising the early communication, anchoring and monitoring overall goals and strategies within every part of the organisation, as well as breaking down and delegating business goals that can be linked to the planning, forecasting and monitoring of specific business segments and/or project deliveries. We believe in an operatively integrated financial management model that creates the basis for well-founded decision making that in turn facilitates proactive rather than reactive measures. Unfortunately, not everyone shares our vision and it is common for financial revaluation and revision to be delayed, or even to remain unimplemented – for example, when previously unknown factors come to light after financing is completed or a project is underway – with major negative operational and financial consequences. Access to attractive capital is a prerequisite for the successful conclusion of an infrastructure or property project. The choice of financing is based on a wide range of factors; the type of borrower and their creditworthiness, purpose, inherent risk, credit period, interest rates, market liquidity, national and international borrowing market, etc. Irrespective of the type of financing being sought, the borrower is well advised to look for a balance between flexibility, risk and cost. With regard to public-sector infrastructure investments, it is possible to combine tax revenue with fees and private capital in a public-private partnership (PPP) project. Although this type of financing is already well established in many countries, only a handful of PPP projects have been implemented in Sweden. Pontarius has a deep and solid experience in financing from the majority of industries and markets, making us ideally suited to assist throughout the financing process – including pilot studies, consultancy, analysis, negotiation with prospective financiers and documentation. In order to gain the maximum effect from an infrastructure or property project, there should be a focus on optimising the the supply chain and reducing tied-up capital, thereby increasing liquidity and reducing borrowing requirements. Infrastructure and property projects are capital intensive and often tie up more capital than is necessary. Pontarius keeps a close eye on suppliers, deliveries and inventory during the project to facilitate analysis of the supply chain as a basis for improvement activities, with reduced working capital and increased liquidity as a result. Pontarius assists with operational and financial risk analyses prior to, during and after the project – in order to create a balanced awareness of risk that in turn facilitates proactive management. We believe that all stakeholders benefit from working more actively with risk, being better prepared in the event that any potential negative scenario becomes a reality. Knowledge and quantification of risks is also a prerequisite for making the right business decisions. Pontarius offers a wide range of services for the property sector, based on our broad and deep engineering expertise in planning, property management, exploitation, design, construction, maintenance and administration. When we combine these operational skills with our financing and valuation experts and experienced property lawyers, we create a transaction team that is unique on the market – one that covers every eventuality and stage in a property transaction. As consultants, we contribute by identifying and evaluating land exploitation and property portfolios, often in consultation with our contractual and management department, who have current knowledge of the local technical and socioeconomic conditions. In parallel, we help with modelling, land and property valuation, strategic advice, financing, legal advice and the compilation of business plans, decision-making documents and other documentation. We provide support in negotiations with all types of financiers, as well as between seller and buyer. Many questions are liable to arise during a property transaction, both for the buyer and seller, and being well prepared and creating a robust basis for decision-making prior to any transaction is business critical. We have many years of experience of both the banking and capital investment markets and with regard to risk capital, due diligence and the valuation of property, business segments and entire organisations. Our work is needs adapted and may cover everything from simple calculations and indicative assessments to full-scale operational support throughout the transaction process. Increasing technical complexity, digitalisation, competition and globalisation make enormous demands on public and private-sector organisations. We are continually faced with new national and international regulations in the fields of CSR and Compliance that take time to analyse and to grasp the effects of. Pontarius helps you to evaluate the content and likely effects of regulations but, even more importantly, we ensure that you follow and comply with the regulations on a day-to-day basis, during the project and in the rest of your organisation. We believe that only a close collaboration between operational and legal expertise can create the necessary security in the field of regulatory compliance. A company’s compliance policy may be nothing more than a chimera unless its organisation and project managers have a solid knowledge of its content. We believe that there is considerable value in continuously ensuring the finance function’s role as a value-creator servicing the core business. 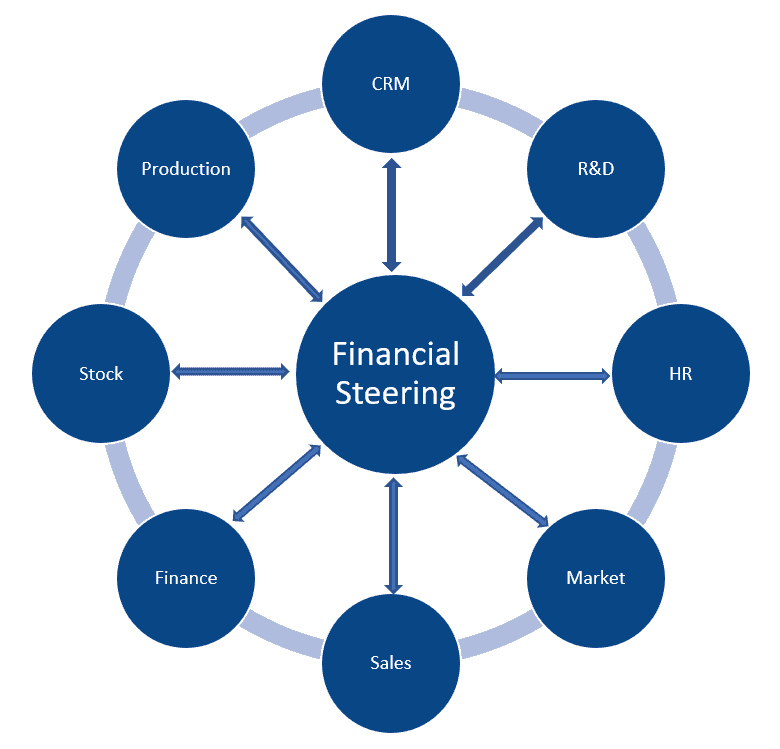 We assist our clients’ economy and finance organisation in clarifying this role, by defining and implementing strategies and delivery models, mapping and analysing processes and systems, developing and maintaining competent personnel and creating efficient, value-based financial processes controlled by clear process ownership. Pontarius advocates a model in which the financial function takes major responsibility, together with business and project managers, for establishing and maintaining clear channels of communication in all business areas of the company, in order to ensure correct and sustainable decision-making materials, financial reporting and results.